Are you ready for the winners? Over the next few weeks, I’ll do in-depth critiques on every story and send them to the authors. I’ll also post shorter critique and commentary on the story posts. Be patient. These are long stories and it will take me some time to get through all of them. As for the book. . .I need to finish the critiques first to see if we have enough stories to make a book. My guess is we probably will, but some of the stories will need a bit of re-writing first. I’ll post the list of stories that made the cut when I have it ready. Thanks to everyone who submitted stories—and to all those who took the time to read, comment and vote for them. Now, for the poll in the sidebar (scroll down to see it)—what other types of story contests do you want to do? Go vote. We’ll definitely do another Christmas contest in a few months, so get started on a story. Word length: 2,000—3,000. P.S. If you’re an author of a story and you want to take credit for it, you can either post your ID in the comments or send me an email and I’ll put your byline at the top of your story and link it to your blog/website. I will not post your identity unless you tell me to do so or you divulge it in a comment. Holy Cow!!!! That just made my year! Thanks LDSPublisher! Thank you, LDSPublisher! Thank you, voters! I hope there is a book! Very exciting! Lots of exclamation points! I appreciate it LDSPublisher-will other authors comment on who wrote what now? Just curious. Covenant of the Scalp was my other tale. I am shaking with excitement! Thank you so much. Congratulations to all of the winners. Sorry, I got carried away and forgot to say congrats to the other winners, too. Congratulations everyone! David, thanks for reminding me. I put a PS on the post. Yes, by all means, take credit for your stories. Congratulations to all the winners! And a big hurrah to everybody who had the courage to submit, too! I hope there is an anthology, because I thought there were lots of good stories here. Congrats to all the winners. Many great stories. Hope to read more soon. Congratulations to all the winners. I really enjoyed writing my submission. I get the feeling there is this everybody knows everybody else community out there that I am not aware of. All these interactions between authors in the comments section makes me wonder how one becomes a member of such a club. To put my name next to my entry would leave everyone going "who is that?" Congratulations to the winners! Very exciting. Anonymous-that's how we get to know one another by talking. I consider Kessee Anderson a friend now and I only just met him because of his submission. I did however already know at least 5 of the authors previous to the contest but that's still only 5-there are 18 more I don't know if I know or not. Lets have a round of applause for everyone who submitted and hear who wrote what. That is totally awesome all of those stories seem so great. Yeah, Anon. I don't know anyone here from face-to-face meeting and I think I often come off as rabblerouser in this particular forum (apologies). You just have to keep talking. I've pushed my way into plenty of online arenas. Just smile while you're doing it. I am also a contributor who doesn't personally know anyone here. I do, however, feel a connection based upon sharing the same faith (assuming most everybody is LDS). I do comment from time to time on posts here and elsewhere in the LDS writing community so my name is at least out there for whatever that means. I want to thank the couple people who commented on my story. Also, thanks to he/she in Logan who voted for my story, Father's Sword. I enjoyed many submissions, voting for Sacrifice, Like Rachel and Young Hagoth Plays it Safe as my favorites. Anon–even though I won (big shocker) I don't know a single person on this forum, in face or electronically. Like you, I'm a first timer. You don't have to know someone to feel like the in-crowd here. Just 'be' here because writing is something you love to do. Just my opinion, but I think you should totally tell us which story was yours, if you're comfortable with that. How else can we get to know you? Charlie–thanks for your kind comments on my story. You were my first commenter and I was so excited because you were a guy and you still enjoyed my sappy romance. I really, really appreciate it. CONGRATULATIONS TO THE WINNERS! WOO-HOO! Tebak! Korean slang word for Congratulation. I'm a first timer here as well. It was definitely a learning experience. My first short story really. I put a comment on my story but in case that gets lost in the crow…mine was The Unsheathing and my name is Britt Kelly. Thanks to anyone for comments..I'm great at taking constructive criticism. I'm very encouraged about the quality of the stories that came out of this contest, and hope that there will be many others like it. I wrote "The Lost Barge" and it was a lot of fun to do. 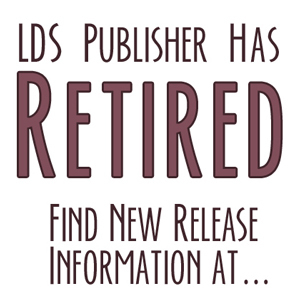 Kudos to everyone who took the time to help expand everyone's perspective about Book of Mormon based fiction. Great job, everyone. Congrats to all of you!